It has been several months since my last post. I know I have been slacking. I need to be more consistent… Hopefully now that the kids are in school I can be more on top of this. But don’t hold me to that, I might fail miserably. We have done several updates in the house. 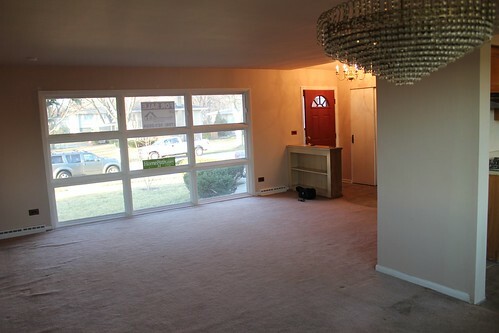 I thought this would be the perfect time to show you some before pictures of the some of the first floor. Basically you will get to see what we fell in love with. NOT!!! 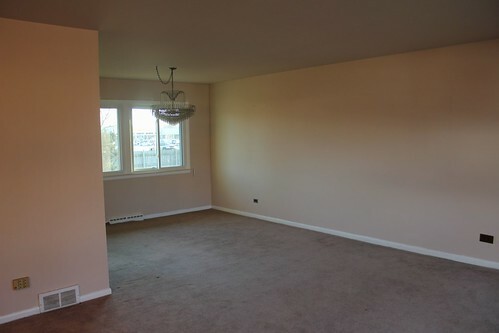 We actually fell in love with the potential, the location, and the price. We might have fell in love with a few more things but I can’t think of them all right now. Let me start of by warning you… if you don’t like the color pink you should probably not look at these pictures. Its pretty scary how pink this house is. 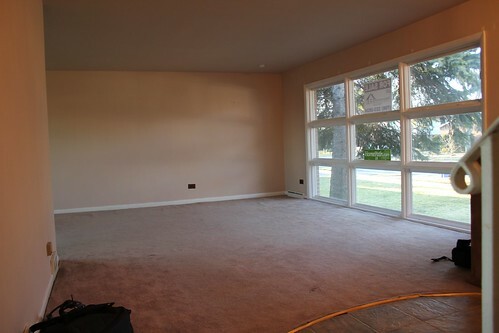 The funny thing is that we didn’t realize the ceilings were pink until we started painting. 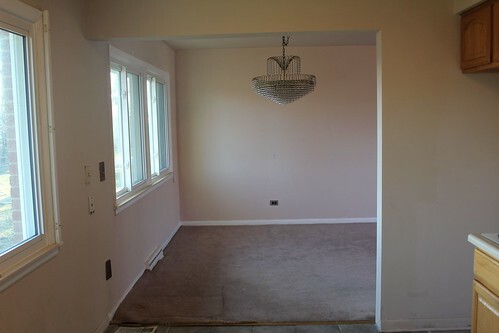 I guess the previous owner loved pink…. why else would you have pink carpet, pink walls, and pink ceilings?!?! When we first saw this house online I fell in love with this window. Look at all the light that it brings into this pink house. In this picture you can also see the other side of the wall that we took down. I am so glad that wall is gone. Don’t you love our chandelier. Jimmy and I both thought it has potential. That will be in a later post so stayed tune. What do you guys think about the red door?? I really want to change the color. Jimmy has a different opinion. He said he always wanted a red door. But I can see his starting to lean towards a new color. Don’t you love the gray tiles?!?!?! NOT!! Thankfully when I pulled up the tile it was all hardwood floors. 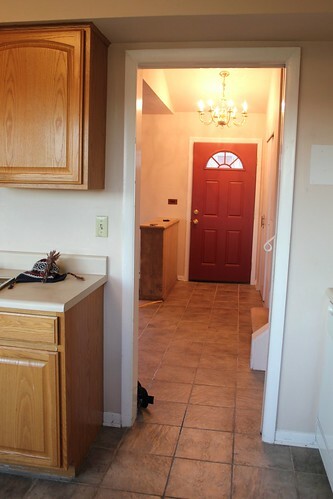 Hope you all enjoyed the befores of the first floor minus the kitchen. We are already enjoying the in progress state… can wait for you guys to see it. Hope you liked our pink house. Let us know what you think… we love hearing from all of you.